Managing the day-to-day operations of your mission-critical contact center places tremendous pressure on supervisors. Finding the balance of contact center efficiency, quality, and customer satisfaction is a constant battle. Oracle’s Contact Center Anywhere was developed with integrated supervisory tools to make that job easier. The Contact Center Anywhere Supervision Manager interface delivers the right data at the right time in the right framework, allowing supervisors to make real-time decisions that improve customer satisfaction and the contact center’s performance. Quality monitoring is essential for providing an outstanding customer experience and optimizing agent performance. Contact Center Anywhere’s Web-based Supervision Manager makes it easy for supervisors to monitor agent performance from anywhereâ€”the office, at home, or on a business trip halfway around the world. It also facilitates checking up on the performance of outsourcers or business partners. With Contact Center Anywhere, call monitoring and other quality assurance technologies are standard features that do not require third-party integration or extra fees. It is all part of the system’s integrated-by-design approach. The solution provides the ability to listen to calls or to simultaneously monitor a call and view an agent’s desktop so you can hear and see how well your agents are performing. It also provides a barge-in capability, so that a supervisor can take over a call, and if there is a need, use remote desktop control to take over the agent’s screen as well. The quality monitoring capabilities also allow supervisors to speak to agents during customer calls without the customer hearing the sidebar conversation. This feature is called Whisper Coaching, and can be used on its own or in conjunction with supervisor-to-agent chat capabilities. Supervision Manager empowers supervisors with timely and actionable views of everything happening in their contact centersâ€”from the number of calls queued to the average e-mail response time to an agent’s status. Its direct view into the system’s interaction queue and agent activities is available on a real-time and historical basis. A quick glance at the Interactions screen informs the supervisors if agents are meeting their service levels, quality goals, and productivity objectives. Contact centers can customize the supervisor’s desktop with color-coded alarms that are set off when any threshold is reached. 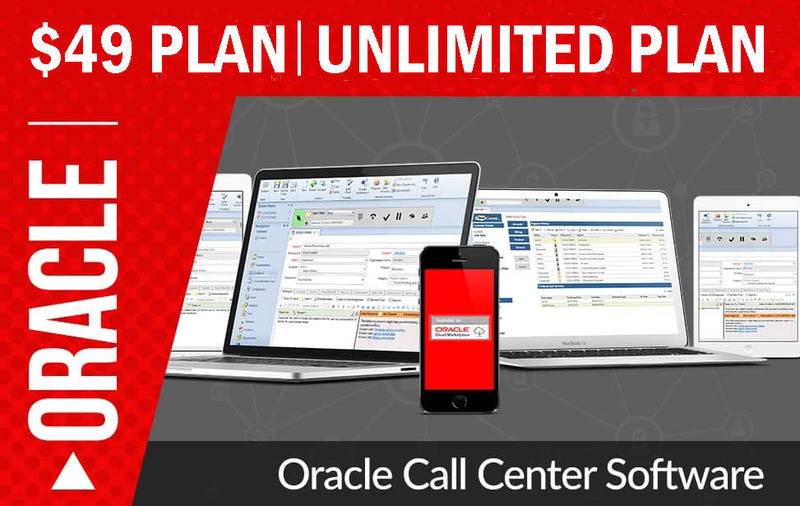 Oracle’s Contact Center Anywhere now offers an optional ‘Administrative’ Supervision Manager interface that complements the standard Supervision Manager interface. This new interface enables individual supervisors to create and customize real-time data fields and reporting information in the interface without programming. This enables supervisors to display the exact information they need and manage their teams more efficiently. The new Supervision Manager interface is Web-based, which enables a supervisor to log in from any computer and maintain their fully customized user interface. This interface introduces an innovation in the Contact Center Anywhere clients. The new interface is built with an Eclipse framework that enables it to be supported by a variety of operating systems, including Windows, Unix, and OS/X. The new interface utilizes deign elements from both the Windows and OS/X environments, resulting in an updated look and feel that provides ease of use benefits. Daily Snapshot Brings Supervisors Up to Speed Fast The Contact Center Anywhere Daily Snapshot feature puts the day’s activity in perspective in a real-time display. This feature allows supervisors to check transaction volume (calls, e-mails, and chat sessions), gauge the performance of the center, and then take the appropriate action to ensure all goals are met. If transaction volume is higher than expected, a supervisor may postpone a training class; if lower than projected, additional coaching sessions can be initiated. Daily Snapshot is a powerful tool for improving the center’s performance. Contact Center Anywhere is frequently used by outsourcers who handle customer interactions for their clients. The Guest Supervision capability allows the client to monitor the outsourcer’s agents for quality assurance, but does not allow access to other system data or reports. Supervision Manager includes one-way text communications or two-way chat, and the ability to broadcast messages to all agents. The system’s flexible supervisory and communications features reach wherever a Web browser can be deployed, extending the control of contact centers managers well beyond the physical limitations of the contact center. Supervisors depend on historical reports to maintain productivity and spot potential problems. Contact Center Anywhere includes a sophisticated reporting engine that provides preformatted historical reports and a graphical user interface that allows for easy report customization. The reports cover key call center statistics, media types, agent activity, workgroups, service performance levels, and outbound preview and predictive campaigns. Reports can be consolidated across geographical locations, contact center sites, and media types, or designed for individual sites or media. And because agents and supervisors are Web-based, reports can be generated from anywhere on the network. The content of reports in the standard reporting package can be customized so that supervisors are able to see exactly the data they need. Thus, a report can be defined by project, workgroup, user, agent, supervisor, administrator, media type, and date range. Oracle’s Contact Center Anywhere is also interoperable with a host of third party reporting tools.